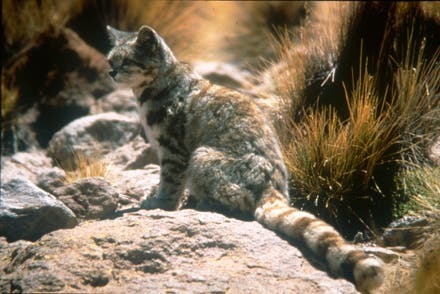 Endemic to Andes Mountains of Chile, Argentina, Bolivia and Peru, the Andean Cat is one elusive feline. It’s only been sighted a couple times in the wild, let alone photographed. 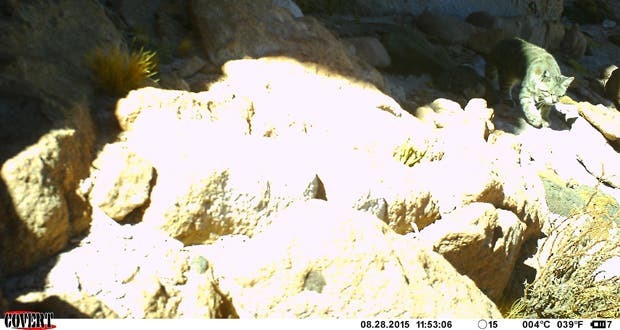 Some researchers were lucky though after their camera traps photographed a gem: an adult and her kitten. The Andean Cat is the size of a house cat, but much more sturdier and, well, fluffier. The adorable fur is pale silvery gray in color striped irregularly with brown or orangy markings down the sides from the back, with dark gray bars across the chest and forelegs. 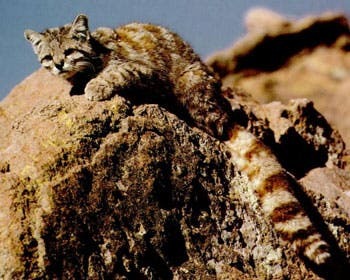 The tail is thick and long and banded with dark rings, which it uses to keep balance as the cat prowls steep, rocky slopes much like its cousin – the Himalayan snow leopard, another elusive creature. Leopardus jacobita is so rare that scientists weren’t even sure if the cat is endangered or merely fantastically hard to spot. It turns out it’s both. Judging from genetic analysis, paw marks and other signs, the Andean Cat population shouldn’t number more than 2,500 individuals. 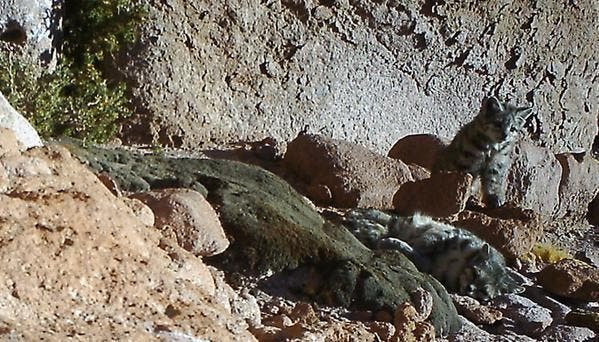 The two cats, mother and cub, were photographed in Chile’s Los Flamencos National Reserve. 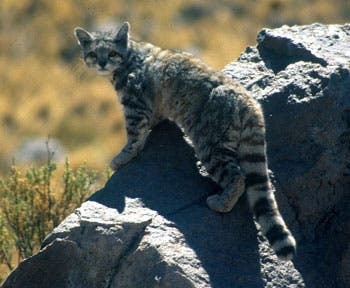 Andean Cats feed on rodents, reptiles, birds and rabbits. In fact, they like to eat vizcacha (a rabbit-like rodent) more than anything else. 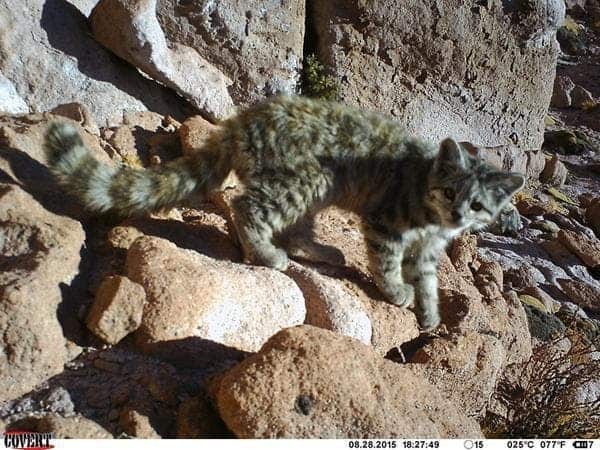 Other than that, not much is known about the Andean Cats, though it’s thought they reproduce once a year and they have litters of 1 – 3 youngsters. Here are some more photos (only two were taken before 1998 – ever! ).